A few weeks ago I turned 65. Official Senior Citizen. Social Security. Discount at all movies. 455 dog years. Usually birthdays just roll off my back without a lot of thought, but when your first present is a Medicare card it gets your attention. This was a big one, and something big should be done to celebrate it. I am not a wine professional. 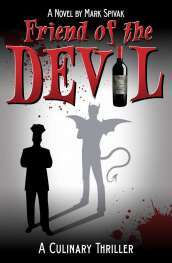 I was a business executive in a large company with a wine hobby that got out of control. When I retired it got worse, and I wound up writing about it. But as the wine equivalent of Joe Six-Pack I rarely get invited to fancy tastings. Like you, I don’t have people falling all over themselves to offer me a taste of famous wines. I’ve had some nice wines in my day, even some fairly expensive ones, but I had never tasted a First Growth Bordeaux. As I thought about how to celebrate this birthday I reviewed the usual options; have a party, go to a fancy restaurant, take a trip, etc. Been there, done that. I decided it was time to just stay home with my wife, have a nice dinner, and for once in my life see what a really big name wine was all about. It was the perfect time to try a First Growth Bordeaux. Before we go further, let’s define our terms. In 1855 an Exposition was held in Paris, sort of an early version of a World’s Fair. The French wanted to show their finest products and Napoleon III ordered wine brokers to create a classification of the wines of Bordeaux, which were to be exhibited. The ratings, which were based largely on the prices that the wines were selling at, divided the top wines into five classifications which were known as “Growths”. 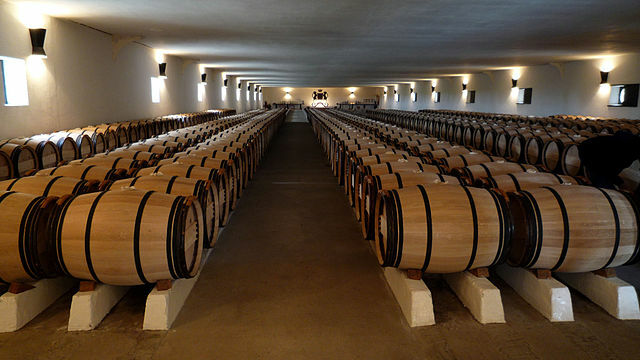 Chateaux Haut-Brion, Lafite Rothschild, Margaux and Latour were named First Growths. 15 wines were classified as Second Growths and included Cos d’Estournel, Gruaud-Larose and other well- known Chateaux. 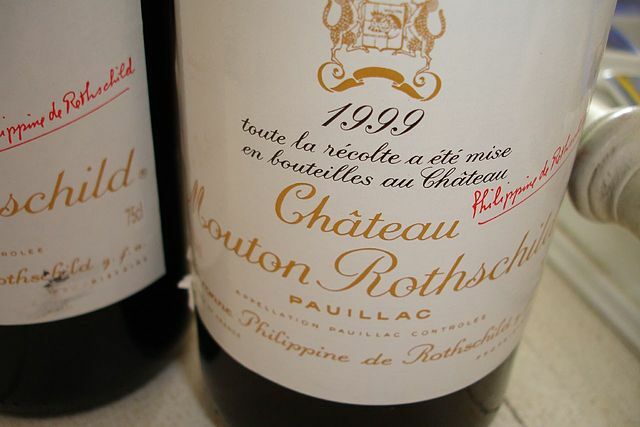 Mouton Rothschild also was classified as a Second Growth, although it was considered the “first among seconds” and was selling for roughly the same price as the First Growth Bordeaux. Baron Phillippe is someone I’ve been aware of for a long time. He seemed to be a visionary who did many things in his 65 years as the head of the Rothschild family business. In 1924 he became the first to bottle his wine at the chateau. He foresaw wine tourism and was the first Bordeaux chateau to admit visitors in the 1930’s. Beginning in 1945, he commissioned a different artist every year to design that year’s label. These labels, by artists such as Miro, Chagall, Braque, Picasso, Warhol and many others, have long been collector’s items. By the way, these artists are not paid in cash. They are given 10 cases of the wine. 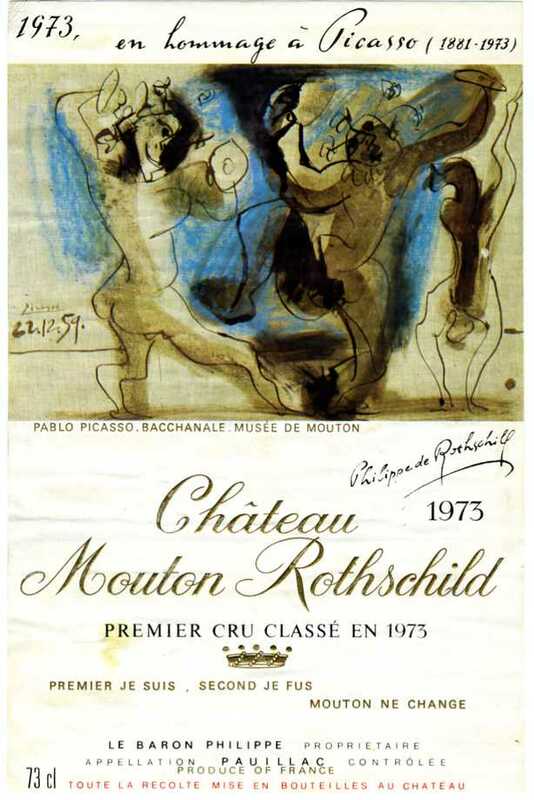 In addition to linking wine and art with his labels, in 1962 he opened a Museum of Wine in Art, making Mouton even more of a tourist destination. He also greatly expanded the business beyond his one famous chateau. The family now owns Chateau Clerc Milon and Chateau d’Armaihac in Bordeaux, and Domaine de Garon’Arquest in Pays d’Oc. There is a Baron Phillippe collection of wines from Pauillac, Saint-Estephe, Medoc, Graves, Saint-Emilion, Pomerol, and Sauternes. He produced one of the most successful mass market wines in history, Mouton Cadet. He also expanded to California, (not a popular move in France at the time), partnering with Robert Mondavi to create Opus One. He saw the rise of California as an important wine region before most others. He also sniffed out Chile early and formed a venture with Concha y Toro to produce Almaviva, a premium wine, and a popular brand called Escudo Rojo. Definitely my kind of guy. Prices of First Growth Bordeaux have escalated beyond belief recently. They were always accoutrements of the global elite along with mansions, yachts and sports cars, but increased demand from a new absurdly wealthy Asian class has lately blown prices out of the water. The Wall Street Journal recently reported that the price of one bottle of Latour from the 2005 vintage had ballooned to $1,950, if you can even get one. Others came in around $1300 to $1400. That’s more than 3 times what they were a few years ago. I decided it was now or never for me to taste one. My hope was that I could find an older bottle that the store had bought before the prices went from crazy to totally insane. With an absolute upper limit of $500 I set out to find a mature First Growth Bordeaux from the 1990’s, preferably a Mouton Rothschild. And find one I did. 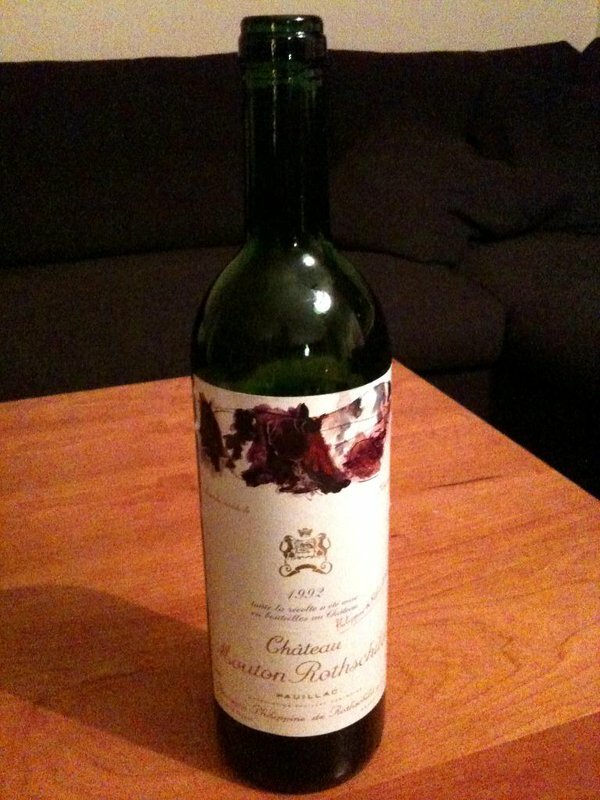 I was shortly the proud owner of a bottle of 1995 Chateau Mouton Rothschild. 1995 was a good year in Bordeaux but not a great one. The wine is considered mature enough to drink now but could easily hold for another 10 to 15 years. The label featured a painting by a Catalan artist named Antonio Tapies. It was two hearts, a nose, a mouth and an ear, celebrating the marriage of wine with the human senses. Whatever. Other than that, it was a lot of French that I couldn’t read. Wine Spectator rated it a 96. Robert Parker gave it a 95. Normally I couldn’t care less what either of them thinks about anything, but in this case it seemed very important. I couldn’t imagine celebrating 65 with anything under a 95. Now I was faced with all kinds of decisions and felt my heart rate rising accordingly. Should I decant it or not? If so, for how long? Do you drink this kind of thing with or without food? What food? Do you drink it in jeans or do you dress for the occasion? If I don’t like it am I obligated to tell my friends that I’m an unsophisticated slob? We decided that, although we would sneak a quick sip when I opened it, a wine like this needs to be decanted. We planned to try it after an hour, after two hours, and so on as long as it lasted. We would try it both with and without food. Our kids sent us a package from one of those expensive mail-order meat places containing lobster ravioli (probably not a great match but we would try it); filet steaks and fancy twice baked potatoes. Sounded fine to us. We had some good cheese in the house. We were ready. On the big night we opened the wine at about 6 PM to give it lots of time. After breathing a huge sigh of relief that it was not corked and seemed in good condition I immediately decanted it, but left us each an ounce or two to try. Our immediate impressions were of a deep red color with a slightly brickish tint. I am a bit color blind but even I could see this was an impressive opaque color. The aroma was more subtle than I thought. My wife said it smelled soothing. I thought it smelled smooth, elegant and very high quality. I have no idea how you can smell things like that but I swear we did. The first quick taste was silky and tasted like very good Bordeaux, but I didn’t taste a lot of complex flavors. We nibbled some cheese, thought about when we met in college, and wondered how the hell I could possibly be 65. An hour later we decided to go for a glass of this sucker. It was very easy to drink. I wasn’t sure if it was going to be or not. The aroma was still subtle but in both smell and taste there was some black fruit coming through, as well as a vague hint of something toasty. I’m not great at describing tastes and that’s as good as I can do. It was getting more seductive on the palate. It was extremely pleasant but I still wasn’t getting what made this so exceptional that people swoon at the name. We decided that it was time to start the lobster ravioli. At the ninety-minute mark we sat down to the lobster ravioli with a garlic cream sauce and poured another glass of the wine. (Although we were using our best large Bordeaux glasses, I was pouring small portions, probably about 4 ounces. I wanted the bottle to last a while.) There was a definite change in the wine. The aroma was now much more powerful. You could easily taste a jammy black cherry, black current kind of thing. It was smoother than before, which I found amazing and much more was going on in the glass. It went amazingly well with the ravioli. I was starting to have the feeling that it would go well with almost anything. Two and a half hours in, we had the filets and the potatoes on the table. The wine had continued to open up. I have never seen a wine behave like this. It was completely different than it was an hour before. It was now much more complex and had much more mouth feel. You could taste minerals which gave it a slight bitterness. The toasty flavor I sensed before had become more of a roasted flavor, probably coffee. It felt very rounded, full and dense, which it hadn’t before. I hardly noticed that there were tannins in it. It had a huge finish. I still tasted the wine at least 45 seconds after I stopped drinking it. It complimented the food very well. It was very, very interesting. After dinner we are more than three hours after opening the bottle and it has done whatever it is going to do. We had a little left to sip. It was a very good wine but by the time the bottle was finished we had had enough. We realized that although this wine had put on a show like we had never experienced before, and we found it to be a fascinating and an excellent Bordeaux, at no time were we ever really excited by it. It was not the life changing moment that I thought it might be. Maybe our palates are just not sophisticated enough, but I kind of doubt that. It was like watching a great pianist perform on a day when you thought the performance was excellent, you had no doubt that the performer was technically among the best in the world, but at no time did it knock you out of your seat. Deep down you knew that the Rolling Stones would have been much more fun. So was it worth it? For a once in a lifetime experience at that moment it probably was for me. But remember, I’m a major wine geek and this was a bucket list thing for me. It’s not something I would ever consider doing again. I can buy an awful lot of good wine for $500 and I’m going to like some of it better than the Mouton. Share your experience with First Growth Bordeaux! Have you had a memorable experience (either good or bad) with First Growth Bordeaux? Share your comments and insights with the community!